Deep within the province of Salta in Northern Argentina, Cafayate sits at around one and half thousand meters above sea level. Despite its small size, the town has some impressive accolades. It is renowned for the high quality wine produced in the area, it's home to the largest golf course in south America and it's the perfect spot from which to explore the stunning Calchaquíes valleys. The town’s history can be easily imagined whilst wandering amongst the traditional architecture and the friendly locals will make your visit all the more enjoyable. We’ve selected the best places to stay in Cafayate, whether you plan to stay in the centre of town or prefer a more rural affair, to take it all in. El Anfiteatro is a spectacular rock formation nestled in the valley. You can also get a great view of it from the road so it’s very accessible. Ask around to work out when there’ll be live music there. Take a long drive around the stunning Quebrada del Rio de las Conchas or put on your hiking boots and tackle it by foot! This really is a must visit. Visit Museo de la Vid y el Vino to brush up on your local wine knowledge before setting off on one of the numerous vineyard tours around. The museum offers an interesting insight into wine production at altitude. Vinas de Cafayate Wine Reosrt sits just outside the town and is surrounded by vineyards. The simple and sympathetic decor gives the hotel a particularly homely feel and the pool offers a great escape from the summer heat! Great local food available with, of course, fantastic local wine. If its tranquility you’re after, try Altalaluna. Impressive traditional architecture and imposing colonnades face off with mountainous surroundings. 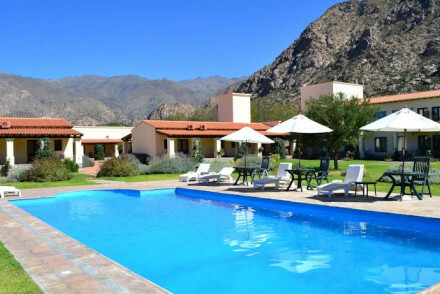 Located a short car trip from Cafayate, the hotel offers a great pool, fantastic food and unrivalled views. Patios de Cafayate is an old colonial house, expertly transformed into a luxurious hideaway. Just outside Cafayate, the hotel sits amid a stunning vineyard and is a great spot from which to go horse riding, trekking or golfing. The nearest airport is in Salta (about 185km north of Cafayate). There are regular buses between the two which take around three to four hours each way. Best time to visit. Cafayate is a year round destination - it is one of the driest regions on earth! The busiest season is between September and January, so if you want to avoid the crowds plan to visit between February and August. If you wish to hire a car to get around, we recommend the choice with our online partner,Rentalcars. A colonial style lodge with an enviable location surrounded by vineyards set against rugged mountains. Traditionally dressed rooms feature terracotta tiled floors, white washed walls and French doors leading onto a spacious terrace. Feast on regional dishes paired with local wines. Very relaxing. Country Escape - Sample wines, take long relaxing walks or simply unwind in utter tranquility. Sights nearby - Make a trip to the Los Quilmes Ruins. 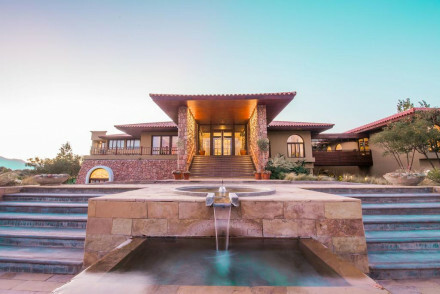 Grace Cafayate boasts a secluded location tucked away in La Estancia de Cafayate sporting estate. This quiet spot offers contemporary accommodation with fantastic views of the surrounding area and the Andes mountains. Enjoy divine Argentinian cuisine with delicious local wine! A first-rate retreat. 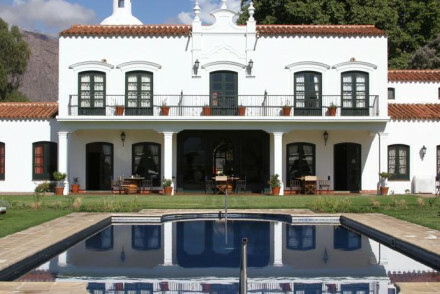 An elegant colonial country house situated within picturesque vineyards. Well proportioned rooms boast sash windows, warm hues and antique furniture. Sample exemplary regional cuisine and sip on local high-altitude wines. Spend days riding horses or playing golf. Rural perfection. Country Escape - A charming country house set amidst vineyards. Take long walks, sample regional wines and dine on superb cuisine.